Alba Game Fishing want to maximize your enjoyment when salmon fishing in Scotland. Having the right equipment is vitally important to improving your chances of landing an Atlantic salmon and enjoyment of the day. 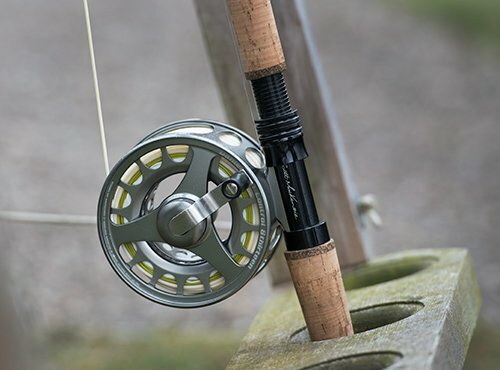 We’ve always been a supporter of Scott Mackenzie fly rods and carry an extensive stock of G2 DTX and Perflex rods to offer our guests on salmon fishing holidays and fishing trips. Our team of fishing guides includes qualified casting instructors and we can offer tuition with these wonderful rods on any of the Scottish salmon rivers. The Mackenzie design and development team is led by Scott Mackenzie, three times world Spey casting champion and includes a team of developers and pro casting experts such as Andy Toft and Iain Kirk.